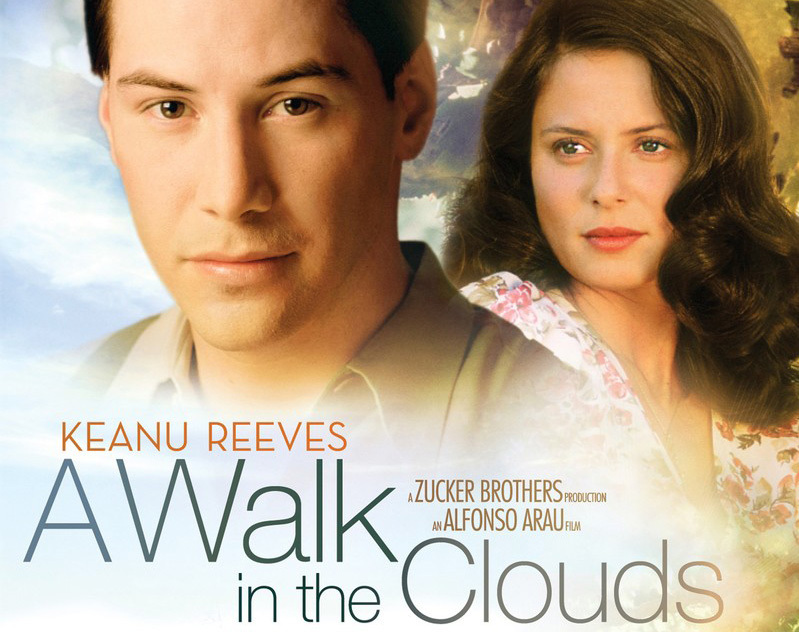 A Walk in the Clouds is a 1995 American romantic drama film directed by Alfonso Arau and starring Keanu Reeves, Aitana Sánchez-Gijón, Giancarlo Giannini, and Anthony Quinn. Written by Robert Mark Kamen, Mark Miller, and Harvey Weitzman. It is about a young soldier returning home from World War II who is looking to settle down and start a family with the woman he impulsively married just before enlisting. After learning she is not what he imagined her to be, he heads north alone to Sacramento in search of work. Along the way he meets a beautiful young woman who is heading home from college to her family vineyard to help with the grape harvest. When he learns she is pregnant and was abandoned by her boyfriend, he offers to stand in as her husband so she can face her Old World domineering father. During his stay at the vineyard, they fall in love and face the angry rejection of her father together. The film is based on the 1942 Italian film Four Steps in the Clouds, written by Piero Tellini, Cesare Zavattini, and Vittorio de Benedetti.